Are you excited for the Big Game next week? I know I am. It’s a huge event in my home, not just for the game itself, but for the commercials, the half-time show, and most importantly, the food. 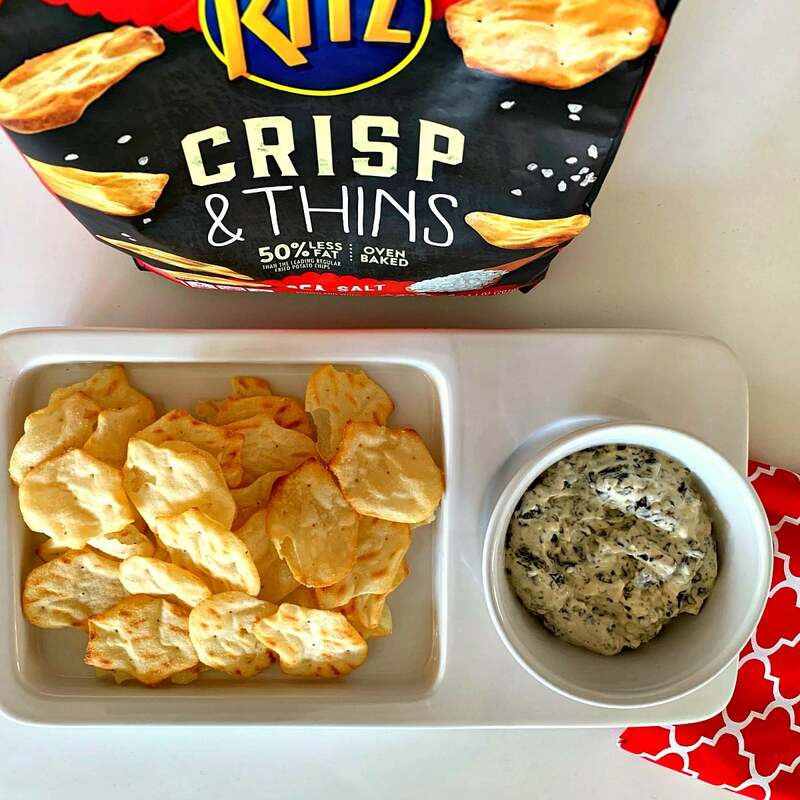 My go-to snack recently is RITZ Crisp & Thins. Right NOW is a great time to pick up some tasty, light and crunchy, perfectly oven-baked RITZ Crisp & Thins. 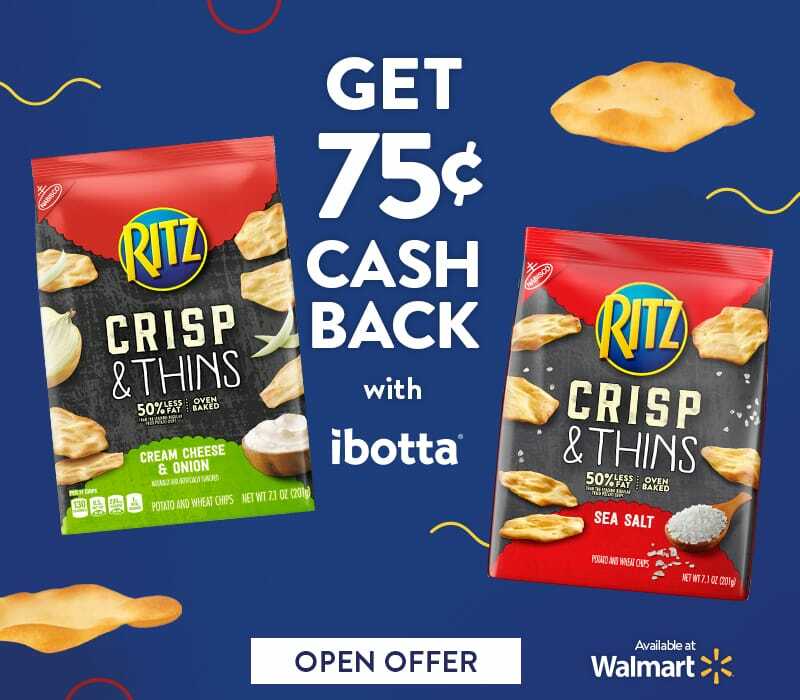 You can receive $0.75 cash back on an Ibotta offer when you buy RITZ Crisp & Thins at Walmart. One of my favorite things to make on Game Day is Spinach Parmesan Dip. And it will be perfect to pair with RITZ Crisp & Thins Sea Salt. 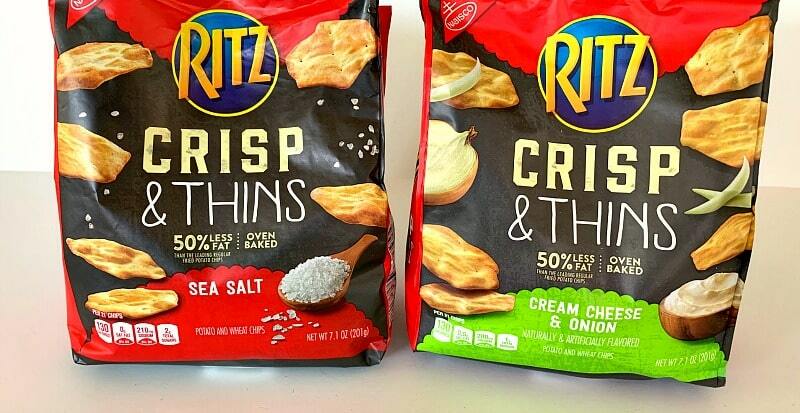 I love eating RITZ Crisp & Thins Cream Cheese & Onion straight from the bag. Transfer to a baking dish, cover with foil and bake for 15 minutes. Take off the foil, sprinkle with a little grated Parmesan over the top and bake, uncovered, for 10 more minutes. Tip: You can cook the garlic with the spinach if you want. 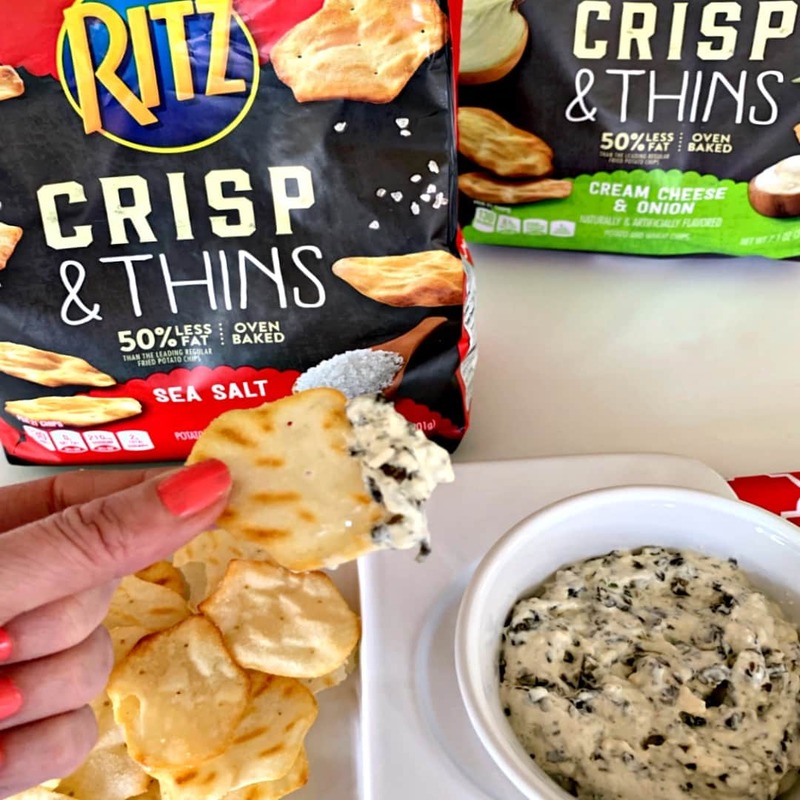 What: RITZ Crisp & Thins Game Day Sweepstakes. When: January 23 – February 3, 2019. Prizes: Six (6) $50 Walmart Gift Cards & one (1) Grand Prize – $200 Walmart Gift Card. How: Enter on the form below. 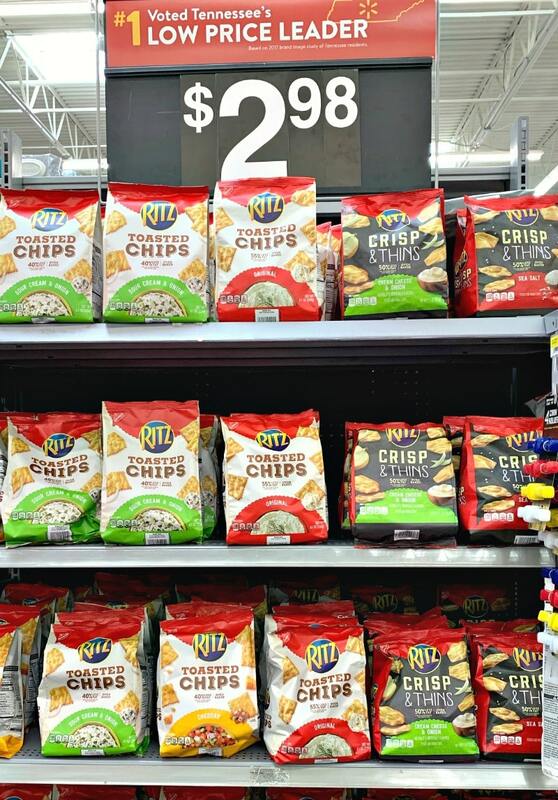 RITZ Crisp & Thins Game Day Sweepstakes I-C will randomly select winners from all program entries and will facilitate fulfillment of the 7 winning prizes.